Brandish just found out the star mango gelato stand got busted up. Wait until she finds out her underling Marin is the one who did that! Team B followed Gajeel to a hot springs inn with a lot of blue winged horse statues... Oh! 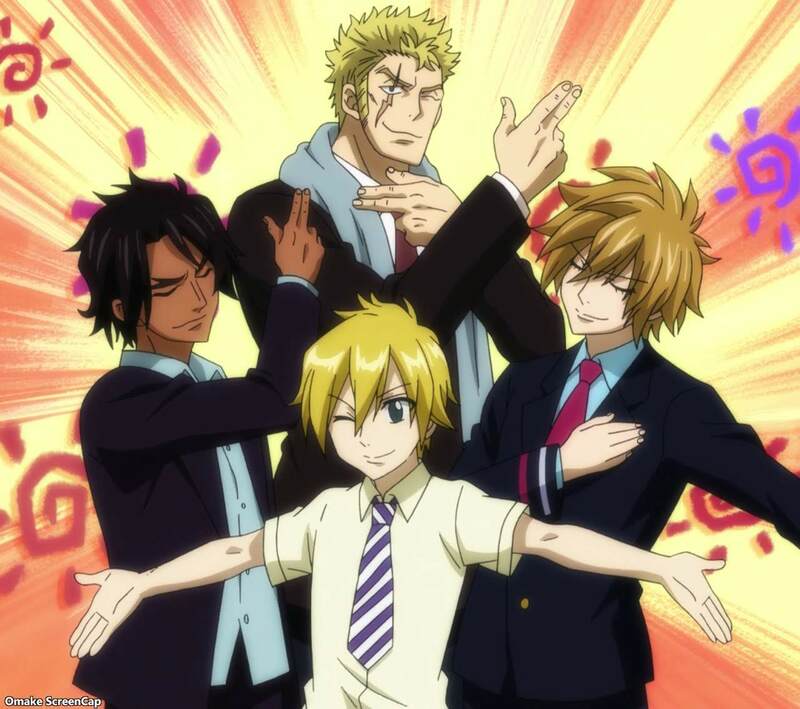 Laxus and his Thunder God Tribe had joined Blue Pegasus! 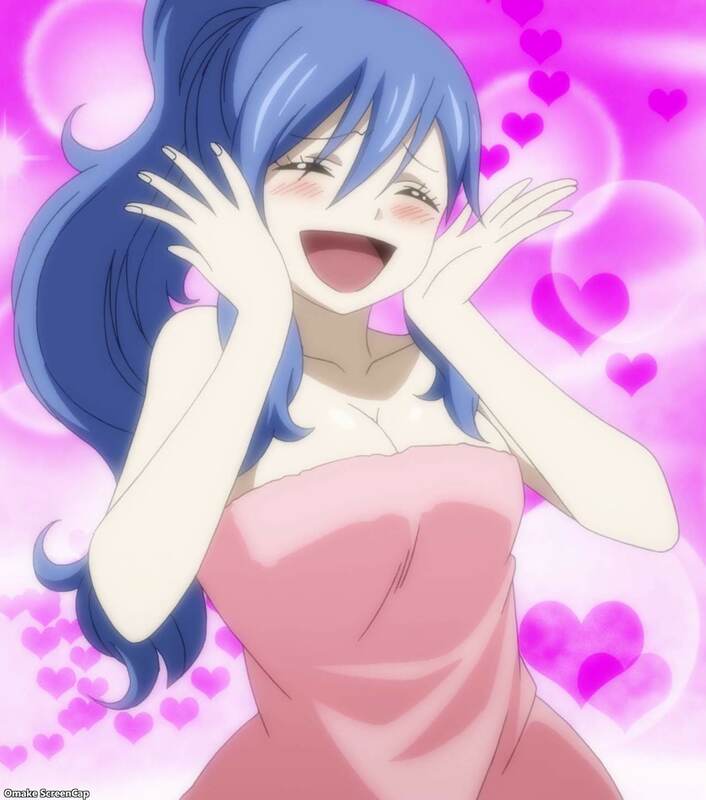 After Gajeel somehow landed on Levy, Juvia wished for a "naughty accident" with Gray too. Meanwhile, Natsu and the others discovered just how powerful the mage Brandish μ really was. She has the power to shrink and grow anything, including a whole island. She already knew the "tourists" were with Fairy Tail and why they were there. They eventually met their spy Sorano who works with Jellal. She had an undersea castle! Brandish said that Makarov was alive and so he was, waiting to meet Emperor Spriggan. After Brandish, we met a few of the other Spriggan 12, like Dimaria, but the biggest revelation was who Spriggan was - Zeref. 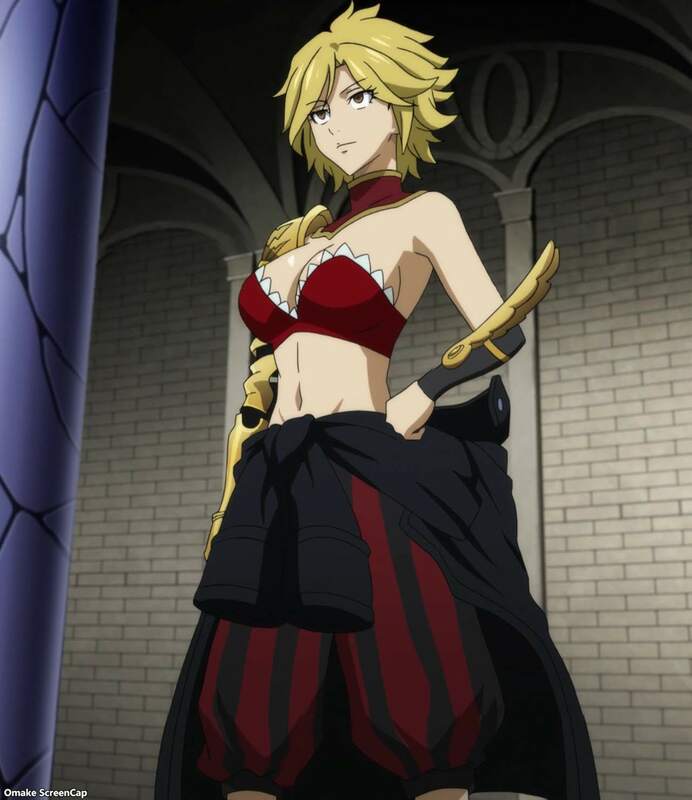 Incidentally, Spriggan means "hideous fairy" in the Albareth Empire.